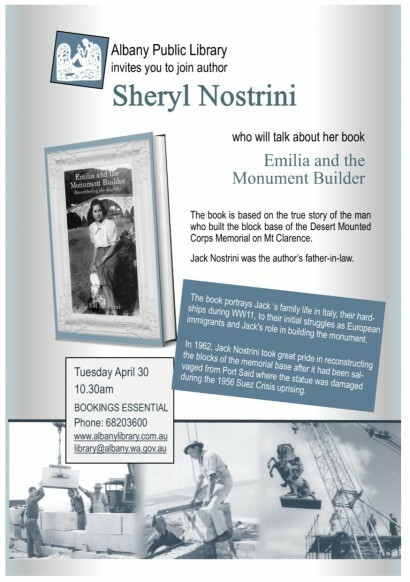 Sheryl Nostrini’s novel Emilia and the Monument Builder is a fictional account based on the true story of her father-in-law’s life as a new migrant to Albany. 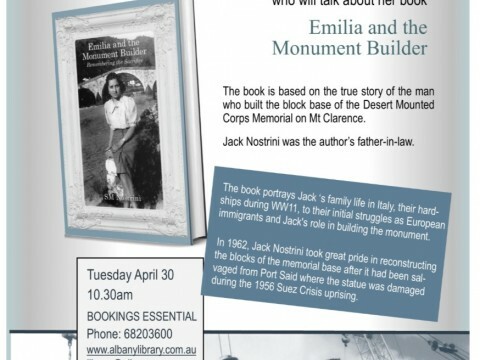 Jack Nostrini reconstructed the block base of the Desert Mounted Corps Memorial on Mt Clarence. 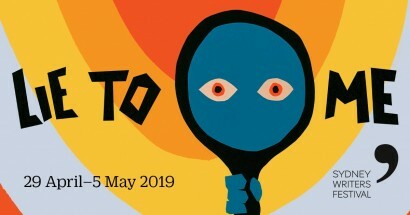 Sheryl’s story portrays Jack’s family life in Italy, his family’s hardships during World War II as well as his initial struggles as a European immigrant in a country vastly different to his homeland.